Monthly member events - Call for presenters! Interested in becoming a presenter? Fill out our presenter form. A skill, tool or concept is introduced (usually related to the training profession). An explanation of how the skill, tool or concept can be applied on the job is provided. Hands-on application (practice) for the audience of the skill, tool or concept. Resource list or handout participants may take away from the presentation. We encourage this to be an interactive, engaging two-way learning event for the audience and presenter. 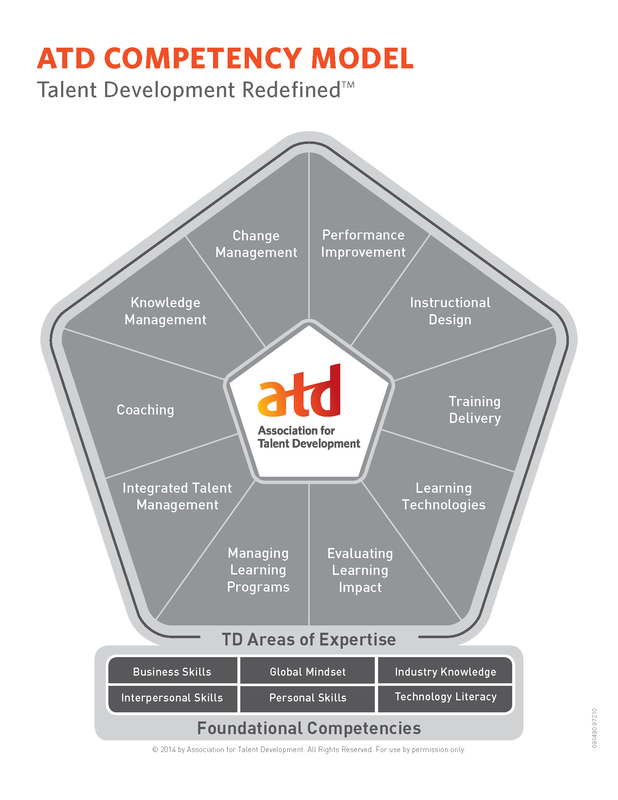 The themes for our monthly meetings, virtual sessions and our professional development workshops support the ATD Competency Model reflecting the ten Areas of Expertise (AOE)identified as essential knowledge and skills. We have linked each competency to a month. Below is a schedule, please specify which month/competency you are interested in when submitting your proposals. We are targeting the 3rd week of each month however the exact dates will be finalized based on event venue availability. We are hosting a special month of March virtual Learning Technologies demo events. We are looking for proposals for innovative learning technology products to host live online sessions for our 1stAnnual ATD VOS Learning Technology Expo. Submit a proposal to share your gamification, assessment, microlearning, etc. Why Should you be a Presenter? ATD VOS is a non-profit organization and therefore does not offer an engagement fee for any presenters. If you are interested in submitting a proposal for consideration, complete the steps below. Please respond by February 8th. This will enable ATD VOS to review submissions as a board and prepare our schedule for the remainder of the year. What is the Proposal Submission Process? If you have any questions, please email Kimberly Moss, Director of Professional Development at programs@atdvos.org.